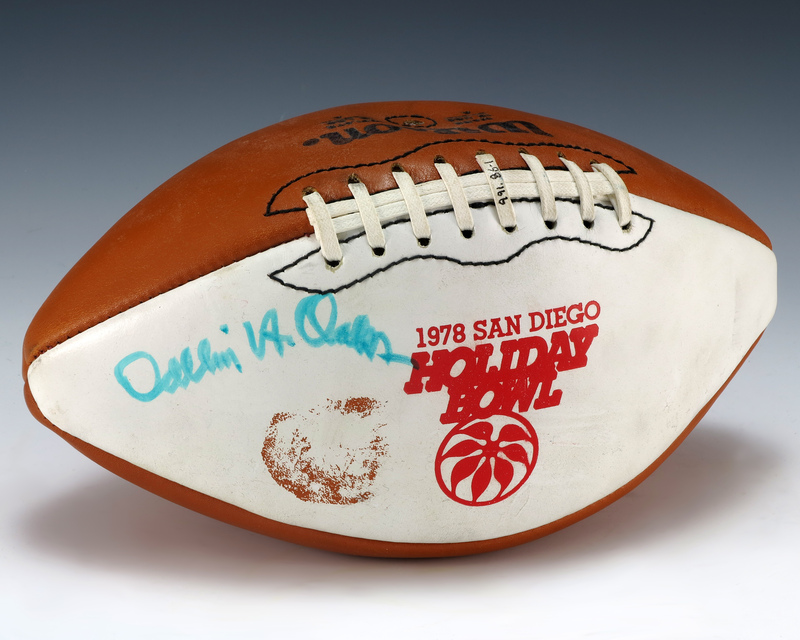 A 1978 Holiday Bowl football that features three tan panels and one white panel. The white panel features a commemoration on the inaugural Holiday Bowl and contains a signature by the BYU president at the time, Dallin H. Oaks. In 1975 President Ford included Dallin H. Oaks in a list of nominees for the Supreme Court.